We’re reuniting with our friends Joel and Clementine this August for a once-in-a-lifetime presentation of ETERNAL SUNSHINE OF THE SPOTLESS MIND… and this one’s special. To pay proper homage to the mind-melting modern masterpiece, we’re screening it in Montauk. On a beach. And yeah, everyone gets a bed. 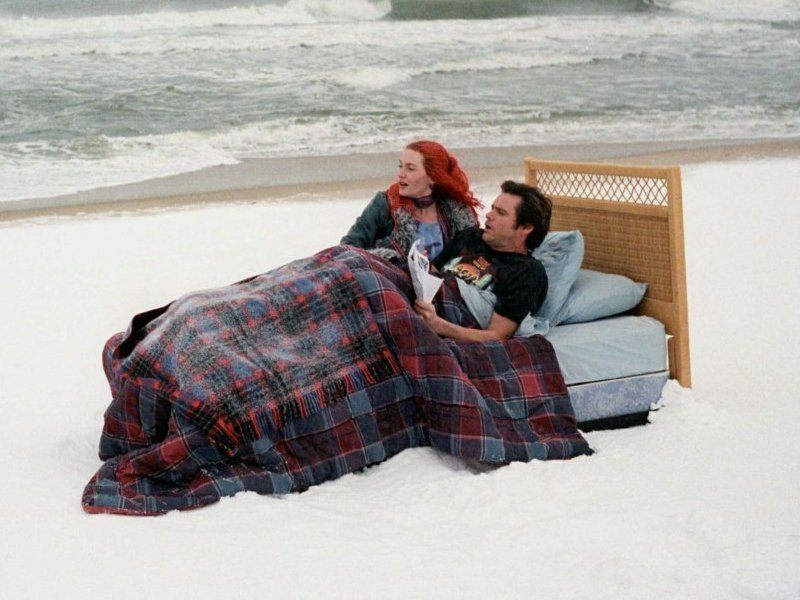 “Meet Me in Montauk” is our celebration of director Michel Gondry and screenwriter Charlie Kaufman’s magnum opus on love, memory, and loss. Tickets include an entire day’s worth of memory-making at the picturesque beachside locale, with an afternoon tour of filming locations culminating with a screening under the stars at Gurney’s Resort in Montauk. Thanks to Casper® Mattresses, you’ll be lounging on super-comfy beds while watching the film. And since it can sometimes get a little chilly at Montauk, Focus Features will provide all attendees with a replica of Clementine’s iconic (and cozy) orange hoodie. Watch @bmoviesd on Twitter on Friday, August 4th to know when tickets go on sale. Seating is super limited -- and once tickets are gone, they’re just a faded memory. Ticket holders will be given an exact time and place to meet us in Montauk to join us for all the activities and photo opps of the day. Unfortunately tickets to this event are EXTREMELY limited, and when they're gone, they are gone.